As experts in food and drink strategy, brand development and new product launches to the grocery, convenience, licensed and restaurant sectors, Serendipity2 was tasked to work closely with the senior team at Sunrise Bakery to provide strategic guidance, creative design and packaging for a new premium product range. This brief was to provide the range with real stand-out presence in a highly competitive category in major supermarkets across the UK including Sainsbury’s, Tesco’s, Asda, Morrison’s and Iceland. Following detailed customer profiling and research into the target market and the development of detailed pen persona profiles, we worked closely with the team at Sunrise Bakery to develop a strong brand identity for the new range. 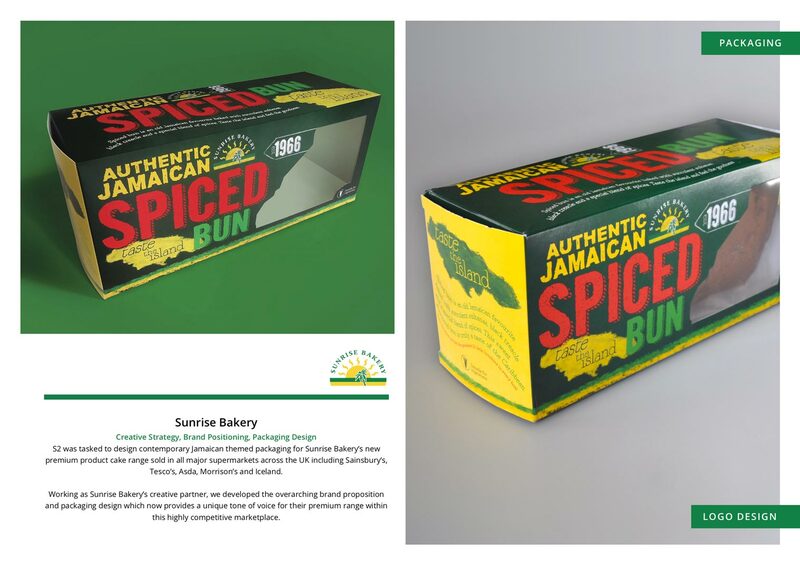 Our creative team came up with a rich Caribbean look and feel, reflecting the history, tradition and spirit of the islands to create the ‘Authentic, Jamaican Spiced Bun’ proposition. The overarching brand proposition and packaging design features the striking colours of the Jamaican flag, a strong packaging format and a unique tone of voice for Sunrise Bakery’s premium range within this marketplace. The brand design and packaging has been very well received and Sunrise saw an increase in sales of 120% within the first 2 months of being in-store. Sales of the brand has also been sustained by strong stand out presence in store. 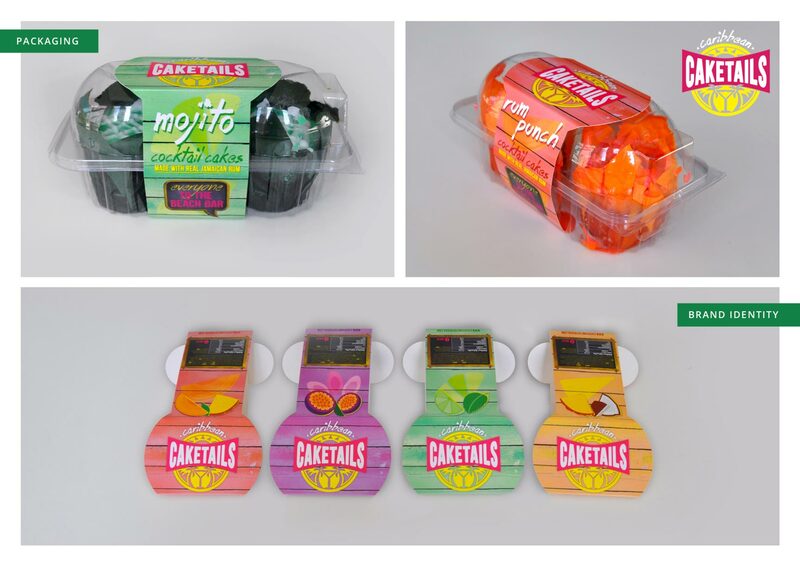 Following the success of this launch, we then developed the ‘Caketails’ brand extension design formats which have also been launched in major grocery and symbol stores. We are now looking at how these brands will filter down to other product ranges within major grocers and their online shops. Due to the success of these projects, we are currently working on the brand packaging for a new product launch later in the year.